Brackley Cherry Tree B & B is a bed and breakfast establishment in the market town of Brackley. We offer a relaxed atmosphere in a quiet location from which to base your stay. 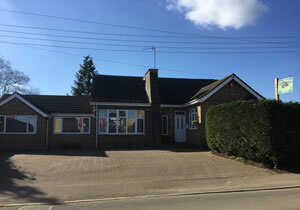 Brackley Cherry Tree B & B has three en-suite rooms each offering a TV, free wifi, tea, coffee and hot chocolate making facilities, toiletries and a hairdryer. For our guests comfort we offer a guest lounge with a TV, board games, a selection of DVDs and free wifi. Pets are welcome by prior consent.